Lighting Your Way | HAWTIE HOOVILLE! 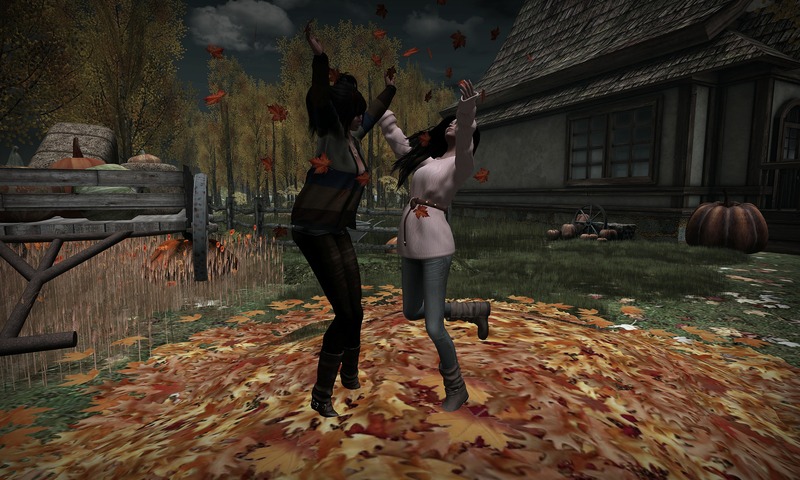 My wonderful sis, Zari joined me in showing off this excellent fall pose from Rack Poses! It really fits in sort of perfect with the whole fall theme we have going on our sim at the moment. This pose is actually part of a gacha set that is going to be out tomorrow at The Willow Street Garden monthly gacha event. This is a ten day long event and this month it is featuring fall items! I love these leaves so I had to do a picture while holding this. These leaves are from the store Olive Juice which closed in 2012 but I heard there is a small store here. Not sure what all she has here though.